The Mini Tennis programme starts as early as 4 years old progressing through red, orange and green stages of the LTA’s Mini Tennis Programme. 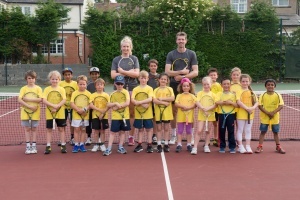 Once out of Mini Tennis children can continue to progress through a structured programme from one group to the next. 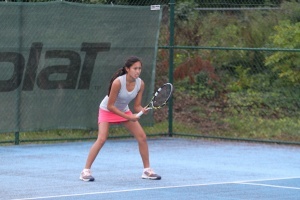 Group tennis lessons take place during school term time, with breaks for half term and school holidays. During the school holidays children can participate in our Tennis camps and holiday match-play events allowing them to continue their improvement throughout the year. Players who are invited to attend our performance programme receive a more intensive programme of tennis coaching incorporating all aspects of training including Technical, Tactical, Mental and Physical aspects of the game. Our programme is built on three guiding principles. These beliefs have been formed after countless years of coaching and educating some of the most talented tennis players in Yorkshire. These principles exist on the practice court and the competition arena. Each day you are presented with a choice – those that accept the challenge receive the rewards. 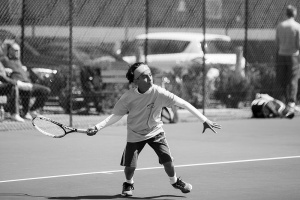 As educators and coaches we believe that teaching children to take responsibility for their actions is a crucial aspect of becoming a high level tennis performer. The success of our training methods and philosophy is built around RESPONSIBILITY. As Coaches, teachers and educators it is our RESPONSIBILITY to provide each player with the resources, knowledge and opportunity to achieve their tennis goals whether that is to become number 1 ranked player in GB or make it into the Yorkshire county training squad. It is the RESPONSIBILITY of every player to be prepared, committed and motivated to maximize their talent and reach their ability level every day. What every player brings to the court each day is the sole RESPONSIBILTY of that individual and no one else.Having dreams and goals brings with it the RESPONSIBILITY to strive for excellence. Every endeavour pursued with passion produces a successful outcome regardless of the result. For it is not about winning or losing – rather, the effort put forth in producing the outcome. The best way to predict the future is to create it – therefore, we believe we have the best training methods within Yorkshire to help each players achieve their dreams and goals and ultimately reach their ability level in the arena of tennis and life.